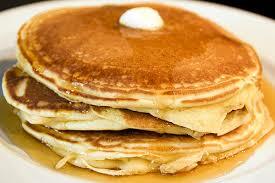 Our annual pancake breakfast occurs each year on the Saturday before Thanksgiving at Wildwood Presbyterian Church. We have had them since 2003! Our Scouts make delicious pancakes and grill sausage links to make the best breakfast you'll ever taste. This is our troop and crew's only fundraiser which helps pay for our camping equipment, gear, keep costs down for scouts to camp, plus each participating scout earns money for their youth account to help pay for their high adventure activities and long term camping events. Tell all your friends to save the date! November 17, 2018 from 8:00am - 12:00pm. Not in the troop but want more information about becoming one of our sponsors? Do you want to come to the breakfast and need Tickets?